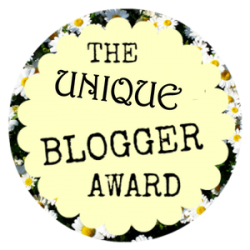 A million thanks to Alyssa Grace from @serendipitousreads for nominating me for this award, go and check her blog, she’s awesome! I am always overwhelmed when I get tagged for an award or to do a tag because people actually thought of me :D. without further ado let’s get this done! Each type of books has its positives and negatives. my favorite are hardcovers as they are the largest (I love large books) and their papers are the best! The only downside is their price. Most of my books are in paperbacks, they have good prices but they need extra care and can be damaged easily. In your opinion, what’s a book that has a cover much better than its content, or vice versa? Ahh, Very Interesting. I will answer the first part, here are two books with covers much better than the content: War Storm and An Enchantment Of Ravens. 1- What are books that you think everyone should read? Huge congrats on this award! 🙂 I also really love hardcovers, I just wish they were cheaper haha! I haven’t read War Storm but the cover looks absolutely stunning! Congrats– you’ve earned it! I too love hard cover books– but as I’m broke I always go for the paper copies, lol. Thanks for the shout out ❤ Totally agree about War Storm, I find the entire Red Queen series to have gorgeous covers but the books are sadly not for me. Their are a few places online where you could get them for a cheap price but the shipping always makes it pointless. I started the whole series for this cover and then was so disappointed! Yes, shipping is always expensive so I always just buy from Amazon or Indigo as I live in Canada! I’ve never read this series but the story isn’t something that interests me. Vitor Vale would be the worst in real life! Come to think of it, most of the characters I like in books would be terrible humans (I don’t know what that says about me). 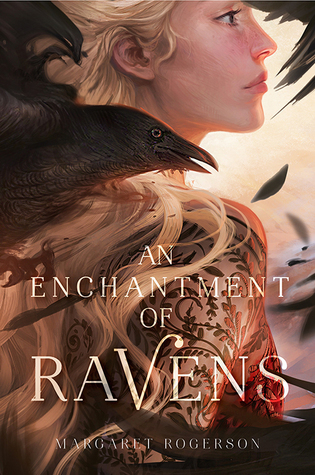 And I love the cover of An Enchantment Of Ravens, the actual story inside, not so much. Great post! I agree with all of the above except that I like my books to stay in perfect shape, lol! I’ve heard not so great thing about the Red Queen series. I read the first book and I stopped there! Hardbacks are so pretty and really hold up better but I do like reading a paperback! My hands get tired with Hardbacks. haha. I usually take off the dust jacket while reading too. It is better if you just skip that series! Thanks, that’s what I’ve heard! Yes, paperbacks are just easier to handle!